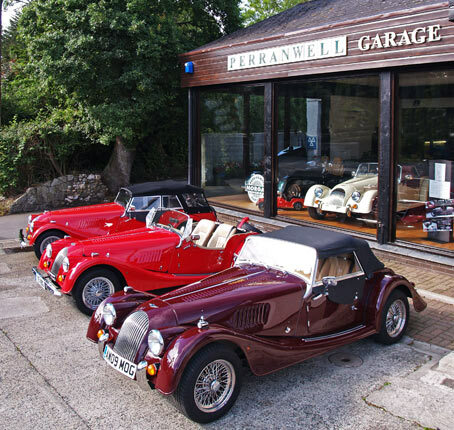 Take a day out to explore Cornwall in one of our open top Classic Cars. 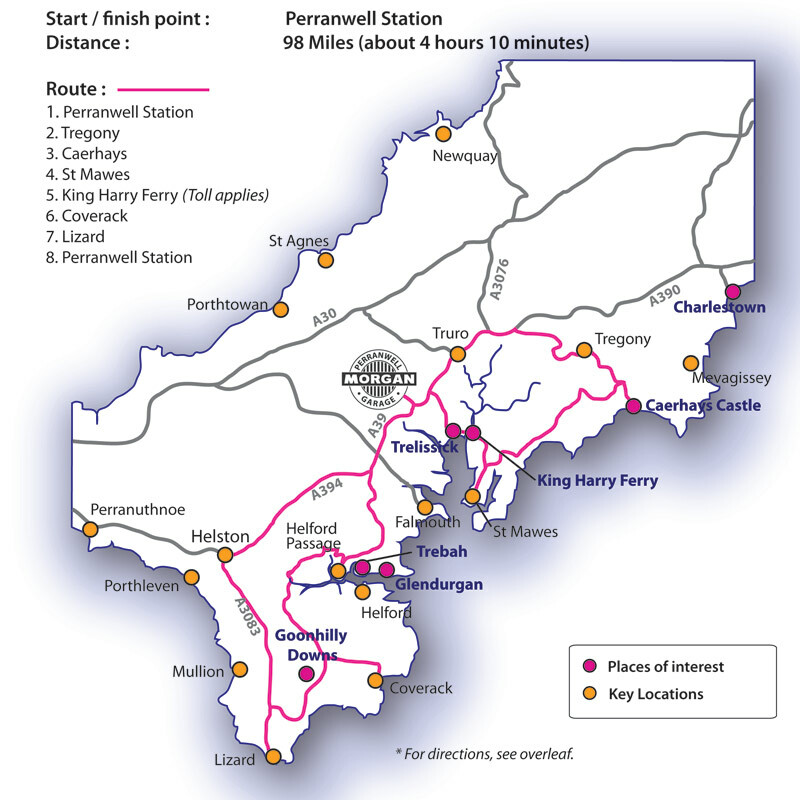 Our central location in the village of Perranwell Station near Truro, gives you plenty of different routes to chose from. 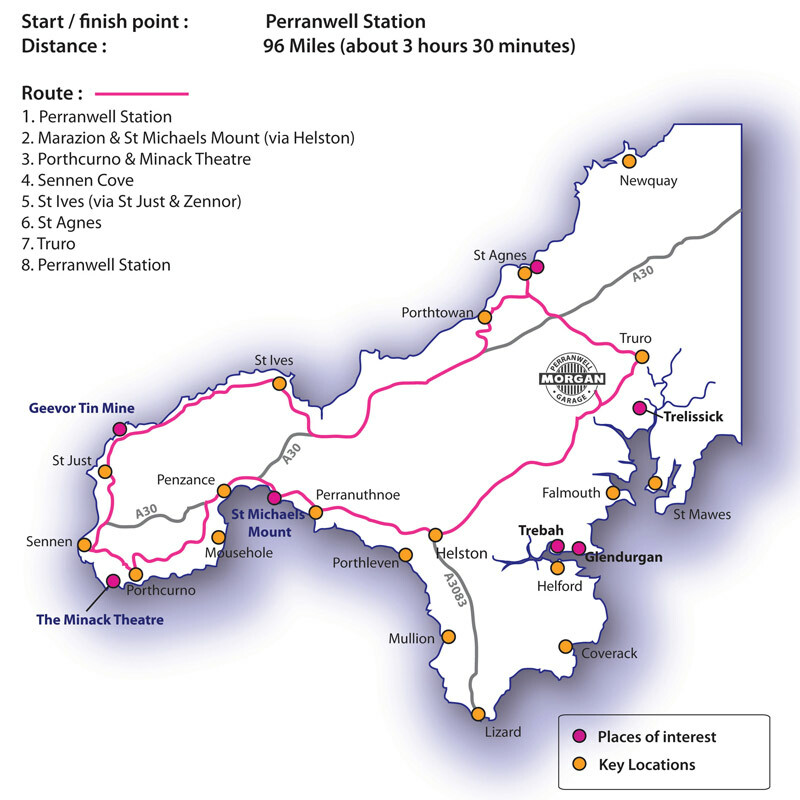 We have put together just three routes below, each of which will give you a different aspect of the Cornish landscape and coastline. 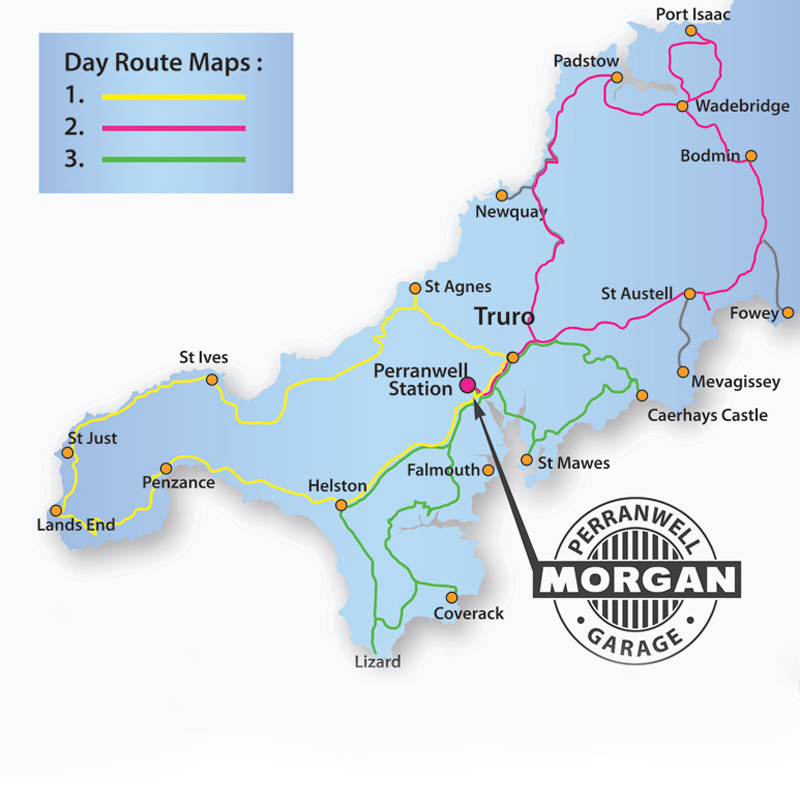 To enlarge click on the individual route maps below. If you have a specific date in mind then it’s always advisable to book in advance especially during Spring to Autumn and on Fridays and Weekends. However if you can be a bit more flexible then we often have spare days available at short notice. To check just give us a call or follow the ‘Check Availability’ link to send us an email with the dates you have in mind.